Boxing Week Sales: Worth The Lines? Boxing week is nearing, and the promises of incredible savings are everywhere. As Canadians, many of us take our boxing week sales seriously and that usually means there are lineups no matter where you shop. Crowds crash doors as stores open and wait to pay for their winnings for a very long time. It’s an all day event, leaving little time to do anything else, so you have to ask yourself, is it all really worth it? The crowds? The waiting? Standing in line after line after line? Are the savings really that incredible? Unfortunately, there is no simple answer. Whether or not braving the sea of people is worth it, depends on where you’re shopping, and what you’re shopping for. It also highly depends on what your personal limits are for crowds. Are the items I plan on buying things I really need? Sometimes we see a great price on something we’ve always wanted, and we feel like passing it up is a missed opportunity. However, buying something you don’t really need just because there’s a big discount, isn’t really a good enough reason to buy it, let alone stand in line for hours for. Can you live without the item? Will your life really improve if you purchase it? Can you afford to buy the item you plan to, even at the discounted price? If the answer is no, and you’re going to go into debt for it, it doesn’t really matter how great the price is. Buying something just because it’s being sold at a huge discount doesn’t change the fact that you still can’t afford it. Don’t get trapped with more debt by the dazzle of low prices. It may feel good now, but the pain definitely comes later, when you check your credit card statement and your credit score. Can you resist all the other sale items you’ll see while shopping? 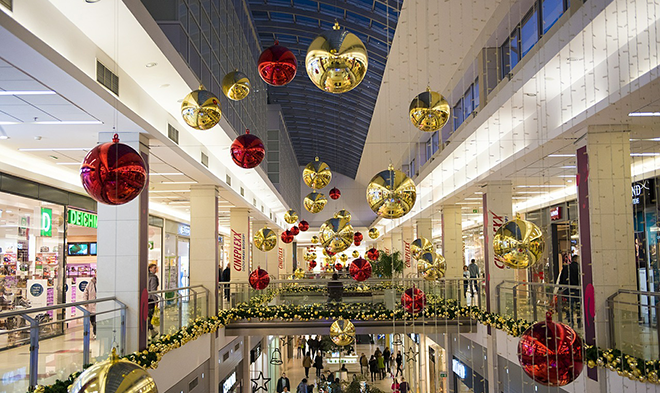 Many of us get drawn into purchasing more than we intended to when we head out to shop on Boxing Day. It’s normal: even the most financially secure people are tempted by sales. The difference between those people and people who struggle with debt, though, is that the financially stable people tend to stay home on Boxing Day. Can you endure hours of waiting? Whether you’re circling the mall parking lot for the fortieth time looking for a parking spot, or you’re facing an hour long line-up just to pay for your new toy, you’re going to be met with a whole lot of waiting in places with very little personal space. Do you have the mental endurance to handle that, just to save a few bucks on something? Are the sales really all that spectacular? Sometimes retailers say things like “the entire store in on sale!” but when you arrive, after spending hours looking for parking, you realize everything is only 15% off and you’re looking at another hour in line to pay, at least. Find out what the sale prices are, exactly, before you decide whether or not your painful trip to the store is worth it. Would you rather be home? Wouldn't you rather be with your kids, playing with toys in your pyjamas, sipping a hot chocolate by the fire? I know I sure would. The last way I ever want to end Christmas is with a trip to the mall on the craziest day of the year. Sometimes, the dazzling spectacle of commerce makes us forget that Christmas is really about family and friends and not the accumulation of meaningless stuff we're going to sell at a garage sale in two years. Your answers to these questions will definitely help you determine whether or not Boxing week sales are worth it for you. Sometimes the adult decision is to stay in jammies all day with the kids. Do you think Boxing Day Sales are worth it? Let me know in the comments!